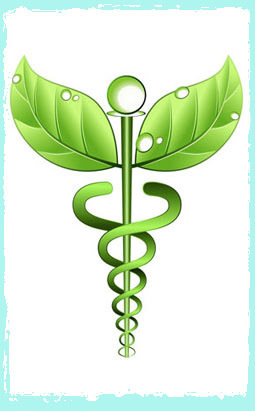 Homeopathy has always been regarded as one of the safest, most effective systems of medicine ever to be discovered. In fact, no ill effects would result from a bottle full of homeopathic tablets being swallowed. Being easy to take, homeopathy is an ideal form of treatment for both adults and children of all ages including small babies. In homeopathy, mind and body are seen as interactive with disharmony on any level affecting the whole person. For instance, you may feel angry with your pain. There may be associated symptoms to the pain. Treatments are always tailored to the individual as each person will express his/her disease in their own way. Therefore the treatment of one person with apparently the same problems as another may be totally different. Homeopathy is about seeing the person as a whole, therefore the gathering of information about the person is perhaps the most important aspect of successful treatment. Having accumulated all the information required, the homeopath has to analyse it and use it to arrive at a remedy. The result is usually a ï¿½short listï¿½ of perhaps four or five remedies. The homeopath then uses his or her knowledge to find the most suitable remedy. Homeopathic remedies are capable of treating a wide range of ailments from everyday coughs and colds to more chronic cases such as ear, nose and throat problems, asthma, eczema, digestive disorders, chronic fatigue, etc. Many emotional imbalances such as low confidence and self-esteem, guilt, grief and anger can also be treated as the remedies work by tackling the underlying causes of these states of mind. They accomplish this by triggering the personï¿½s own innate healing ability which has become stuck, often due to some kind of traumatic event. As a result of homeopathic treatment, the personï¿½s sense of equilibrium is restored and symptoms gently disappear rather than become suppressed. Merely becoming suppressed as is often the case with conventional medication. Homeopathic preparations are extremely safe to take because of their highly diluted form. Nonetheless, frequent repetition of a dose without the advice of a professional is not recommended. Sometimes an initial worsening of symptoms can occur. This is usually a good sign and signifies that the body is responding to the remedy. Although the physical symptoms might get worse for a short period of time, the person as a whole will start to feel better almost immediately. Take a look around this site and if you would like to explore the possibility of working with me please get in touch. Get In Touch Today ...to explore how I may be able to address your health issues. Tel. 01299 405291 or 07719 733815. In 1960 Dr Linus Pauling, stated: "Optimum nutrition is the medicine of tomorrow". Naturopathic Nutrition is a simple concept: it is the science of working out which foods are right for your body to heal itself and to restore proper balance. It takes a holistic approach aimed at finding the cause of an illness or imbalance rather than merely looking at the symptoms. As such, it has been employed for many years in various different cultures. Copyright ©2012 Sue Mills All rights reserved.